Wow, thanks for actually checking out my “about me” page! My name is Mike and I’m the creator, writer, and editor of Skilled Angler. 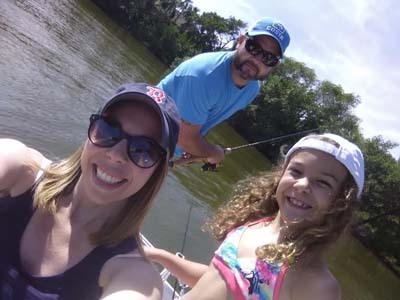 There is nothing that I love doing more than spending time with my family, whether it be grocery shopping, going to my daughter’s softball games, hanging out around the house, and especially going fishing. We also love taking the boat out and picnicking on one of the many spoil islands that line the Indian River here in Brevard County, Florida. I’ve always loved fishing! I can’t remember the exact age when I started, but I know it was at a very young age. I remember my dad, uncles, and grandad always going fishing on the Skyway Bridge in Tampa, Florida. We would sometimes stay all through the night, often times not catching anything. However, I always loved it! That’s the good thing about fishing…you don’t have to catch anything in order to have a great time. With that being said, it’s always much more fun when you do catch something. That’s one of the reasons why I decided to start this website. While I never pretend to be an expert (I would be a fishing guide if I were), I have picked up a few tips over the years that I’m sure can help newbies who are just getting started. Fishing can be a great way to spend time outdoors, whether it be with family and friends or just by yourself. I hope you enjoy my little website and hopefully, you will find something useful!